Our range of Pug Cutting Machine- Gas/ Plasma is a powerful driven tool used in the cutting of mild steel plate up to 75 mm thick vertical cuts or bevel up to 45 deg. These are quality tested on well defined parameters before being delivered to our clients spread nationwide. Moreover, the machine mounted STK-3 cutter is designed on the injector suction principle and is suitable for use with acetylene as fuel gas and two seat cutogen nozzles should be used for excellent performance. 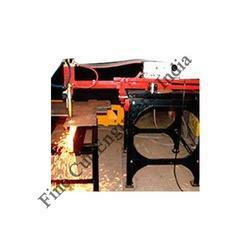 We have been appreciated for our preferred choice of Cub Type Cutting Machine/ SPM Profile Cutting Machines- Gas/ plasma 785 mm x 650 mm fabricated using high grade raw material. These raw materials are procured from reliable vendors. As these machines are operated with electricity quality measures are kept at utmost priority. We can also design these machines look wise and as well as technical specification wise as per client’s specifications. 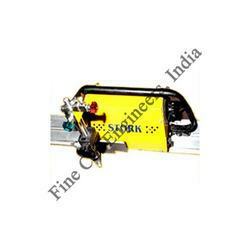 We abide by all the norms and industrial guidelines while fabricating these machines. Looking for Pug Cutting Machines ?